A great way to see the Eternal City, while optimizing you time, is BY CAR. With a private car / minivan and a competent English speaking driver in Rome, you can see and do a lot more and with a lot less hassle. The difference between this and a bus tour is that you will not be taken to shops, the itinerary can be customized to your interests and a car can reach narrow strees, where access by coach is impossible. Save yourself A LOT of walking ! Driver in Rome Will be able to speak English fluently to give you the cultural knowledge about the place you visit. Steeped in history, a car with driver in Rome offers a wealth of sightseeing opportunities, culinary delights, and open markets, among other things. We offer high-end car rentals in Rome at prices you can afford. If you're looking to reserve a private tour in Rome, for a group, or a luxury rental car with a driver in Rome, we can provide You with this, at rates you can afford. You'll find that our prices and quality service is incomparable. We strive for excellence. Our Four seater Sedan offers comfortability, air-conditioning and fully refreshments. Our fleets are renowned for cleanliness, pristine condition, and classiness. 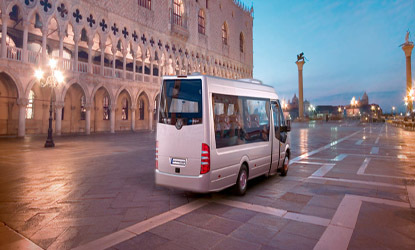 The next time you're in Rome, be sure to rent cars, vans or minibus from RomeDriver.com, for yourself or for groups. We also offer special group rates, including driver in Rome. So next time while you are in Rome do give us a chance to serve you. Copyright © 2018 All rights reserved. Powered By: Dario A.